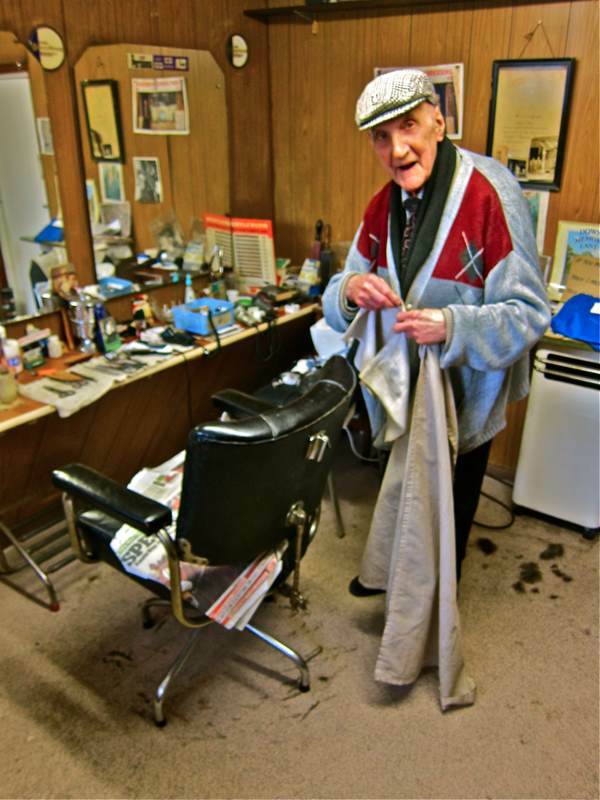 Aaron Biber has been cutting hair for seventy-eight years and he still uses the same blue steel scissors that his father gave him when he began at twelve years old, which he sharpens himself. 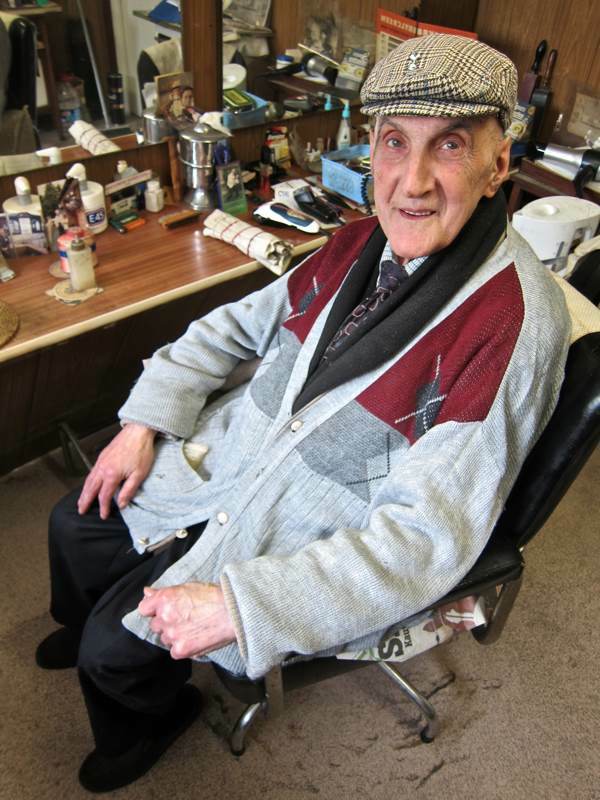 At ninety years old, Aaron works six days a week at his tiny salon in Tottenham, waking each morning at four, driving the five minute journey from his home in Chingford and opening up the salon from six until midday. 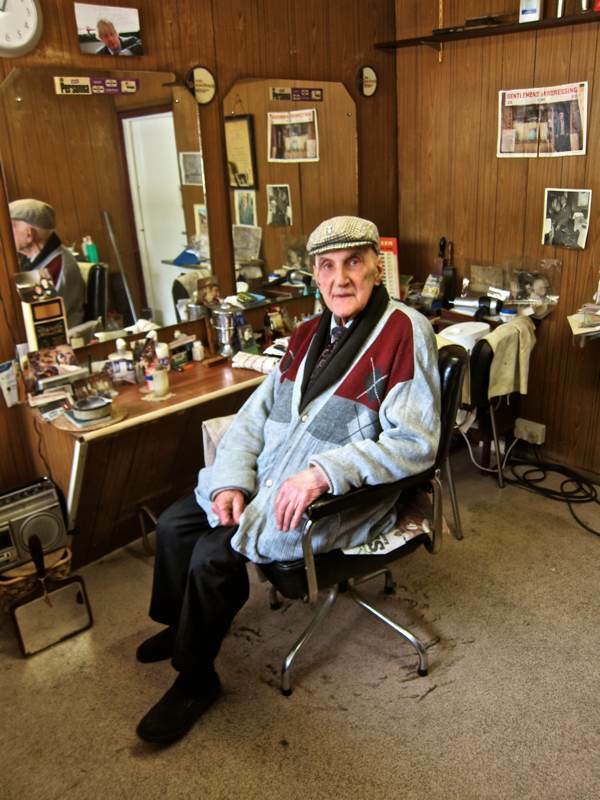 But today, although his salon has been restored thanks to donations from an internet campaign, Aaron’s customers – many of whom had been coming for decades from all over London – have disappeared. On Monday this week, Aaron had one customer and on Tuesday also only one customer. No wonder he was delighted when I walked through the door at the end of the morning yesterday, on a day that had been a total blank, to interrupt his melancholic discourse with his pal Richard. “I’ve been cutting his hair since he was a baby,” declared Aaron to me, by way of introduction, with an affectionately dismissive flick of the wrist in the direction of his friend. A gesture reciprocated by Richard with a nod of confirmation and a loyal smile. “They took everything, even my kettle and my chairs!” explained Aaron casting his eyes around at his memories of the destruction, “Luckily, I always carry my scissors with me, so they were safe at home.” Lesser men would be defeated what happened, but Aaron’s experience of life has granted him a sense of proportion which permits a degree of equanimity. “When I was around ten years old, my mother moved out from Myrdle St where we lived because my dad wouldn’t give her a penny. She took all the children – nine sons and four daughters – to Coke St off Commercial Rd near the Bell Foundry. We went to the Jewish Board of Guardians to get an iron token for the soup kitchen, and we got bread and pilchards and kosher margarine. We used to go round the streets searching for money and once we found half a crown, we bought two salt beef sandwiches and had one shilling and eightpence left. We had to work because we were starving. When I was ten, I went across the road to work for Mr Cohen making beigels for sixpence and then I weighed out sugar for his wife in the shop next door for tuppence, so I had eightpence. I used to wash down the horses, Ginger & Tubby, for Barney Dan, he had a cart and went round delivering stuff. He took me down to Covent Garden. I can tell you all about Covent Garden because I met my wife there, her father Alex Simmons, he designed all the sets for the theatres. 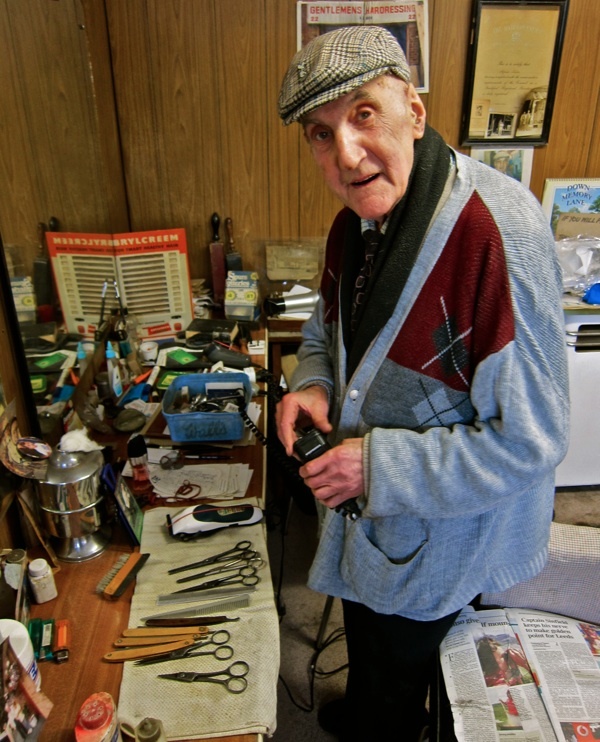 I took a room in Tavistock St on the first floor, full of lads cutting hair. Later, I had a place in Hanbury St opposite the market in Spitalfields and I cut all the porters’ hair. I cut hair for the police for fifty years, they wanted to make me a policeman at seventeen but my father said, ‘No, you don’t!’ I cut the hair for the flying squad for twenty-five years. Everyone wanted me because I cut hair properly. We used to have the police lined up outside the shop, there was a shortage of barbers. 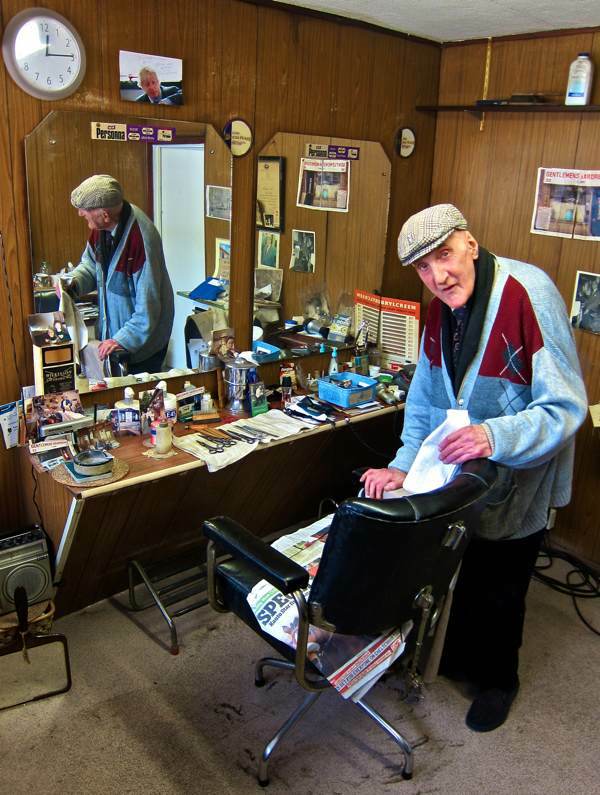 If you want to have an unforgettable haircut by London’s oldest barber, and hear more stories, and experience Aaron’s barber shop wisdom, and get your locks trimmed with the seventy-eight year old blue steel scissors given to Aaron when he was twelve, head up to Tottenham. No appointment is necessary. Aaron Biber is sitting in the tiny salon waiting for you to walk through the door. I appeal to my readers to show the spirit that has always characterised the East End, we’ve all got to pull together to keep Aaron cutting. 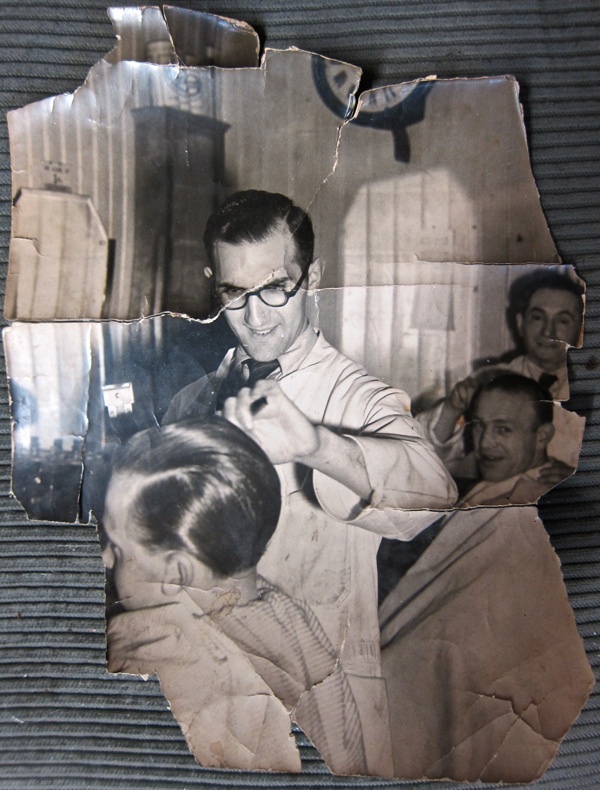 Aaron cuts hair in Cable St in 194o. 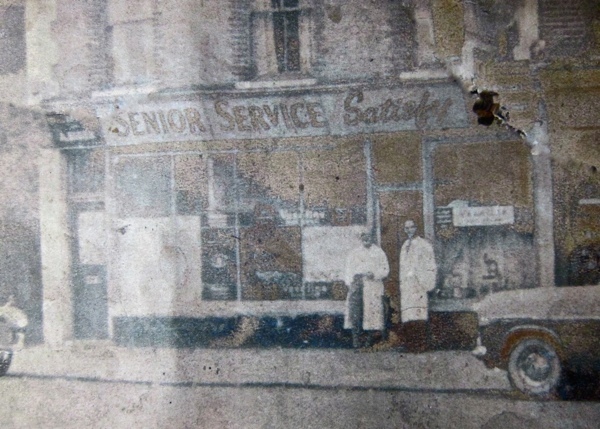 Aaron outside his salon in St Anne’s Rd in the nineteen fifties. 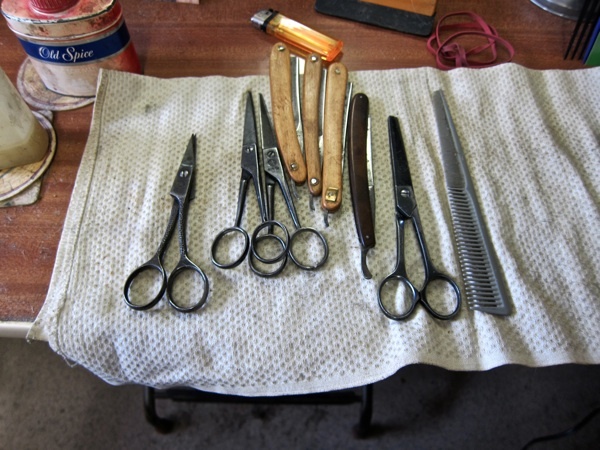 The blue steel scissors given to Aaron by his father seventy-eight years ago when Aaron was twelve years old, wrapped in a nineteen forties linen towel. 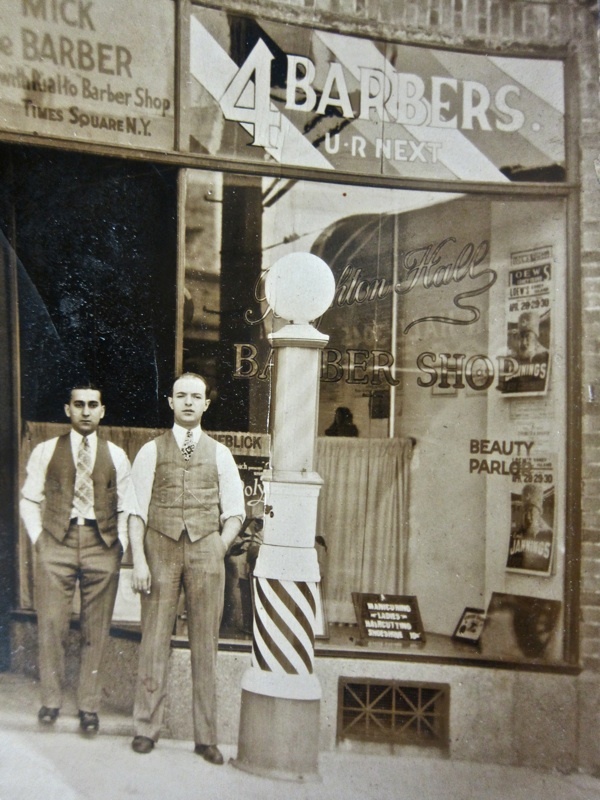 Aaron’s brother Ben (left) outside his salon in Times Sq, New York. It is very nice to hear that the Archbishop, Mayor, and Price reached out to Aaron after the riots – very nice touch. Thank you again for another fine article Author. Why haven’t his customers returned though? Did they drift away because his salon was closed for too long? Or something else? I’ve tweeted about this anyway and hope my friends in the area will pick it up. What a wonderful interview with Aaron. Thank you for meeting him, I bet he wouldn’t let you go! Regrettably, all of Tottenham has experienced a blight since last summer’s riots. 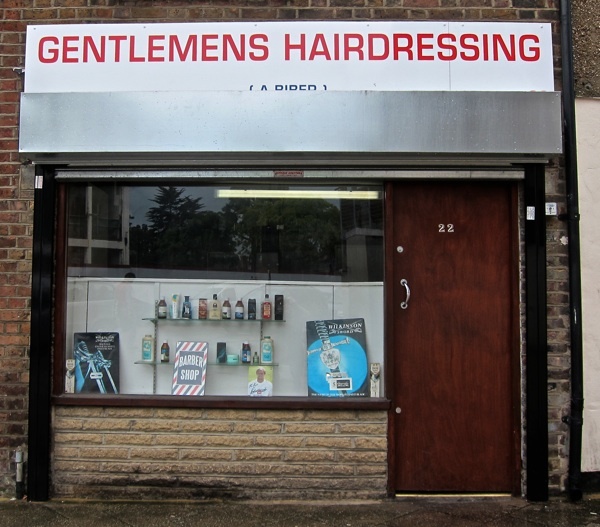 I’m encouraging my London male friends and colleagues to go over there and get themselves a good hair cut to assist this gentleman in relaunching his excellent business. A similar message is being passed around Twitter by quite a few people, so let’s hope a few at least have the sense to seek out Mr. Biber’s services. 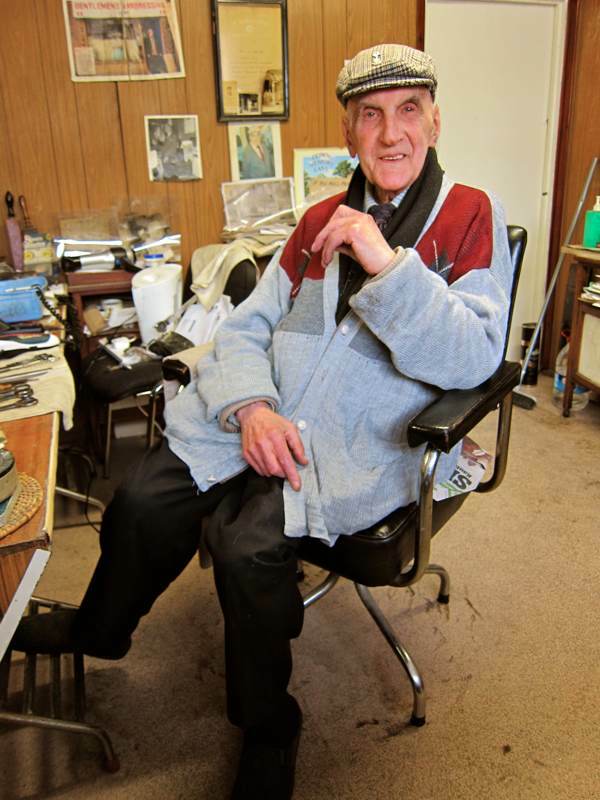 My dad runs a general store (hardware, grocery, off-licence, newsagency) in Co. Tipperary Ireland and compared to Mr Biber is a youth of just 83 (84 in September) – although he works twice as long as most people do each week – his opening hours are 9 a.m. to 7 p.m. Monday through Thursday, 9a.m. to 10 p.m. Friday & Saturday and 9 a.m. to 1 p.m. Sunday – a 70 hour week. He’s a great bloke, Mr Biber, a lovely man and loyal Tottenham fan. Nothing beats real life for a cracking story, his mother sounds amazing. What a fantastic piece:-) Thank you. I live in South Tottenham, and have posted this on my fb page. It is awful – the media really don’t help with constantly churning up the fact that the riots started in Tottenham, although it is a little ridiculous that even his regular customers have deserted him. We are lucky, and still have our jobs in London. We have seen so many businesses collapse in the past year, even here, where the riots never quite reached. I will encourage everyone I know in the area, and outside, to support him. I have been looking around for the address of this place and now I have it. I’ll go this weekend, I live about half a mile from it! I’ll be encouraging everyone I can to get down there. Just so lovely What a hard grafter. 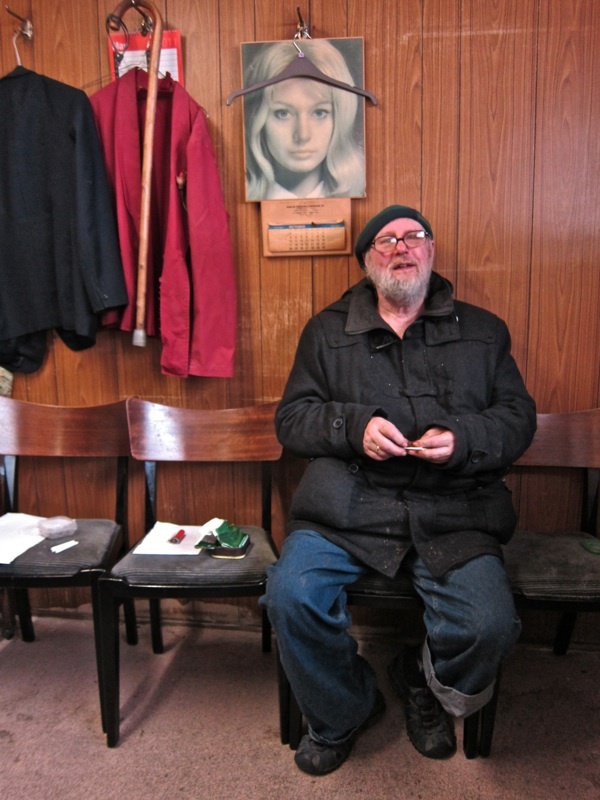 Love the stories of the ‘ordinary man’. These are the ones worth telling. I hope there is a family member or friend somewhere who looks after those tools when they need looking after. They are almost like medals…representing his life.